“Pocket Pistols” are not allowed due to their very small size and difficulty of use. (Compact or full size handguns are recommended) there are a few sub-compacts we will allow, please call if you have any questions. 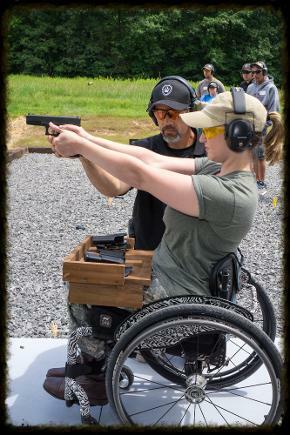 Holsters must be an OWB (outside the waistband) set up on the firing side hip, correctly fit the weapon, completely cover the trigger guard, remain open when the weapon is removed, not allow the weapon to cover the shooter’s body, and NOT have a trigger guard retention device (such as the Blackhawk-Serpa model and others). 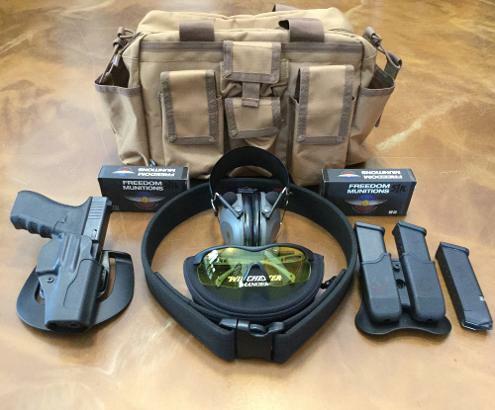 NO thigh rigs, cross-draw, etc. *Note: For Defensive Handgun Level 1, we will allow a retention holster but for Level 2-4 no retention devices allowed. *Note: Please bring snacks. 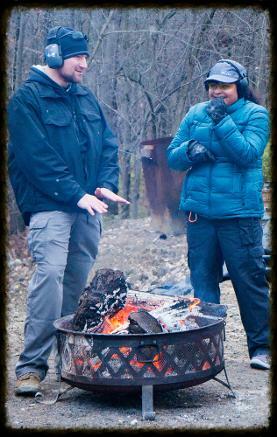 There are no eateries within 10 miles of the range. Water and Gatorade will be provided. Must be factory ammunition (FMJ or HP) NO RELOADS. Calibers must be .380 auto or larger. Grove City/Sandy Lake and head North on Rt 173 towards Sandy Lake. Go approx 2 miles and take a right onto Scrubgrass Rd. Go approx 3.75 miles and take a left up the 1/4 mile drive at the Wolfcreek Training sign on your right. -Choose your (9mm) handgun below "Limited Quantities"
$100 non-refundable deposit is due at sign-up. New students, this is your 50% deposit. Students wanting to repeat this class this is your payment in full. If you are not able to make the class, deposit is good for 1 year from the initial class you registered. After a year the deposit is non-refundable. Pay here for your deposit, but be sure to also fill out the registration form above. 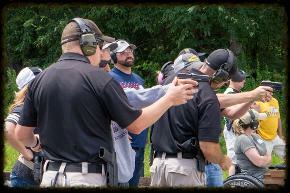 Course Description: This class will cover the basics to becoming a handgun marksmen. Topics covered are shooting fundamentals, shooting from the ready position, chamber and magazine checks, loading and unloading sequences, shooting stance, grip, emergency reloads and the 4 secrets to marksmanship. You will be engaging targets at the 3 and 5 yard range. Please arrive at least 15 minutes before starting time. May 18th, 2019 $50 off Ladies ONLY Class! *50% non-refundable deposit is due at sign-up. Deposit expires 1 year after your initial registered class. You are not registered until payment is received. If you are not able to make the class, deposit is good for 1 year from the initial class you registered. Pay here for your deposit, but be sure to also fill out the registration form above. 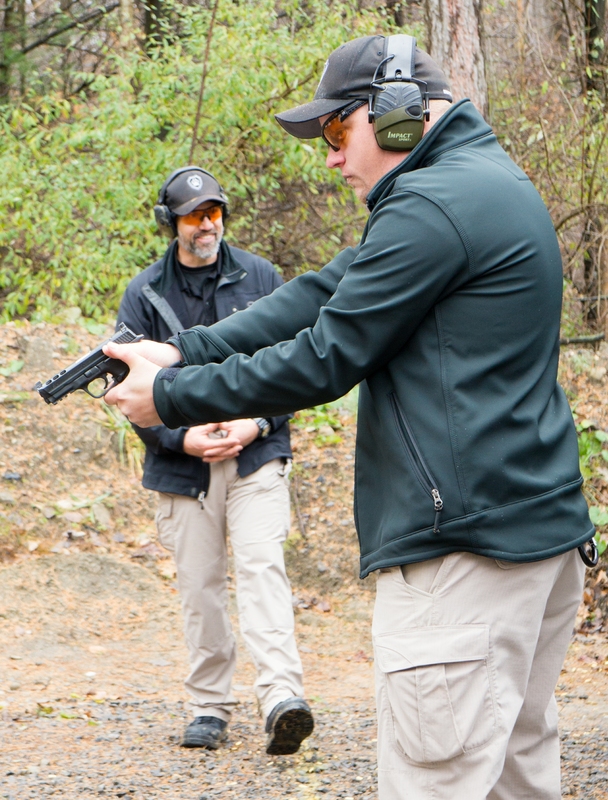 Course Description: This class starts with a quick review of Level 1 and then continues to build on shooting fundamentals. 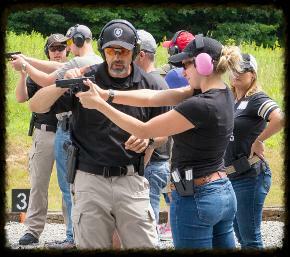 Topics covered are the presentation and shooting from the holster, Type 1, 2 and 3 malfunction clearances, after action drills and tactical reloads. You will be engaging targets at the 3 and 5 yard range. Course Description: After a quick review of techniques taught in the Level 2 class we will dive into the topics of shooting from concealment, color code of mental awareness and the combat mindset, when to conduct a cranio-ocular cavity shot and shooting multiple adversaries. You will be engaging targets at the 3, 5 and 7 yard range. Course Description: Once a quick review of the material from Advanced DH Level 1 is conducted we will cover moving off the "X" and shooting, designated head shot (hostage taker), utilizing the "SUL" position, shooting from cover, the emergency reload drill, shooting photo-realistic targets and multiple adversaries under timed pressure. You will be engaging targets at the 3, 5, 7 and 10 yard range. Buy 2 hrs get 2hrs FREE! Offer is good through May 1st, 2019. 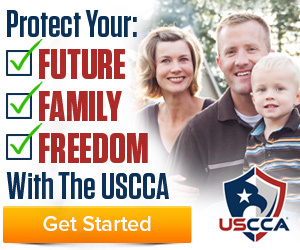 Buy now and schedule your training any time in the next 12 months. Call for scheduling. Buy 2hrs get 2hrs FREE! In order to be registered, 50% deposit must be paid along with this form. See list of classes for details. 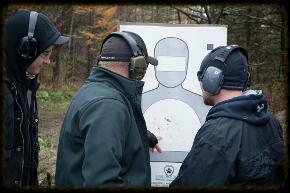 If you don't wish to sign up for a Defensive Handgun course today, join our newsletter for future available courses. Please contact us at 724-372-0610 for scheduling and additional information.